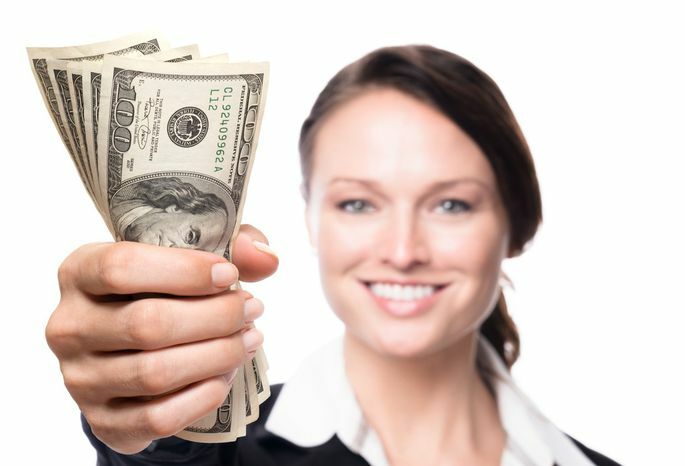 How much do real estate agents make? It's clearly a popular business—whether you are a home buyer or seller, you're likely to work with a real estate agent for your transaction. According to the National Association of Realtors' 2013 Profile of Home Buyers and Sellers, 88% of home buyers worked with a real estate professional. Unlike other professionals who bill their clients at hourly rates, real estate professionals are paid at the end of a sales transaction. If a real estate agent works with a buyer or a seller for weeks or months without a resulting transaction, they aren't paid for their time. Real estate agent commission is earned based on the sales price of the home; they will receive that commission only after the transaction goes to settlement. In many cases the commission is evenly split between the buyer's agentand the listing agent, but sometimes the split is negotiated unevenly. For example, a seller could agree to pay a 5.5% commission divided so that the listing agent receives 3% and the buyer's agent receives 2.5% of the listing. While some real estate agents are also brokers or associate brokers—positions that require extra training and licensing—commission payments go to the broker who manages the real estate brokerage where the agent works. The commission is split at the settlement table between the listing agent's brokerage and the buyer's agent's brokerage; then the agents themselves are paid by their brokers. Technically, the real estate agent is paid by the seller at the settlement table, where the fee is subtracted from the proceeds of the home sale. However, the sellers will take the agent's commission into account when determining a listing price. So, in a sense, the buyers are paying the commission because they're paying to buy the house. The exact percentage of the real estate agent's payment (or commission) should be spelled out in the listing agent's contract with the seller. This ensures that the listing agent gets paid if the property sells, regardless of who buys it. Listing agents and their brokers spend time and money marketing a home, advertising, and preparing the home for sale, so what a real estate agent gets paid is to cover those services. Buyer's agents typically have a contract with their clients so they are paid when the buyer completes a purchase, even if the buyers found that particular property on their own. Whether you're a buyer or a seller, the professional support of a Realtor® who represents your interests should be worth every dollar of the commission.